Unfortunately, the AlcoTector Fuel Cell Breathalyzer is no longer available. 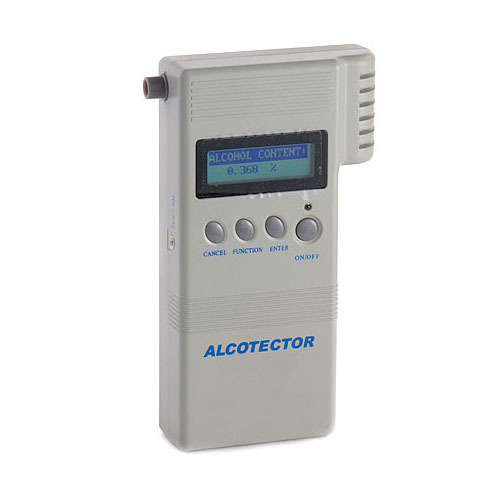 You can explore other items in the Breathalyzer category yourself to try and find the perfect replacement for you! If alcohol is present, a corresponding voltage is generated from the fuel cell, which is proportional to the alcohol content of the sample provided by a human subject. This voltage is then sent to the Micro controller to calculate and display a subjects %BAC level. The AlcoTector WAT90 is currently being used by the majority of law enforcement roadside screening, corrections, probation officers, substance abuse clinics, boating, military, and many other areas of professional testing in which fuel-cell accuracy and reliability is required. 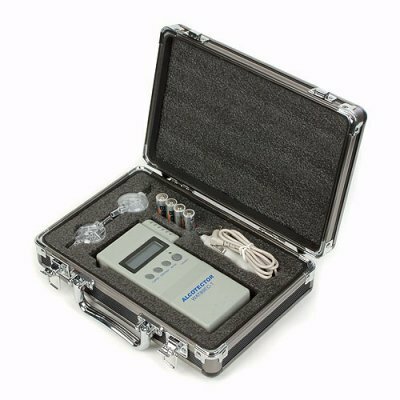 Suitable for law enforcement, health professionals and more! Improved sensor life â€“ The AlcoTector sensor is designed to be robust and last for thousands of tests in fields such as Law Enforcement. This unit has been discontinued and no longer qualifies for warranty. For any questions, please contact us at 1-818-701-9200.